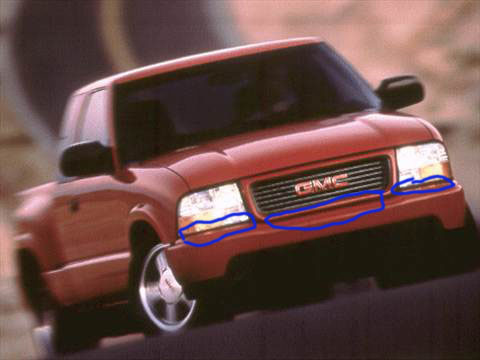 HI all, I recently bought a 2001 Sonoma 4x4 V6 and I noticed the front bumper is pretty loose, moves up and down. Where does it fasten? On the sides or in the middle? Also I noticed that on the front wheel fenders, the bottom of the fender is closer to the top of the tire on the passengers side than it is on the drivers side. (see attached pic) Whats up with that? lol. Its about an inch difference. One shock is worse than the other? Both front struts seem nice and stiff. The bumper is held on by socket head torx bolts (T50 or bigger IIRC). They are under the grill and/or the headlights, at the end of the frame rails. You have to remove the grill (and maybe the headlights) to get to them all. Your wheel gap difference is either a dead (seized) shock absorber holding one side up, or the other side collapsed/dead letting it sag, or possibly the torsion bars are misadjusted, or maybe one of the torsion bars is rusted out/damage. More inspection is needed. You really need to look at the torsion bars and the control arms and see what the positions/angles of the control arms are. 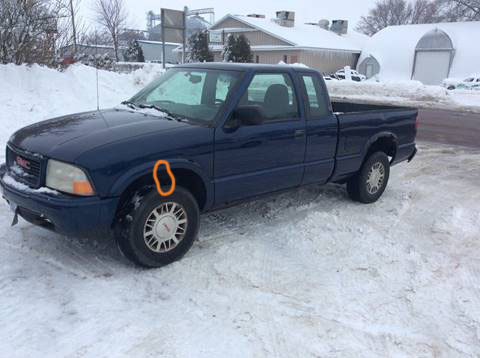 It would be best to compare those angles to a known good condition truck. So in this area is where it attaches? Take a look under the front end at the frame horns. There are bolts there.Then look at the sides of the bumper and you will see a bracket on each side that bolts up where the radiator supports on either side are. Is the bumper loose, or just the cover? The cover just slips on and is secured with plastic push rivets at the top of the license plate frame and round pegs at the bottoms of the fenders. Oh yes sorry I didn't clarify, just the plastic cover is loose. Thanks.